The Soviet Union went through war, destruction and chaos in the 1940s and the early 1950s. But for many of its citizens, this time was the prime of their lives, when they raised families, build careers, and made friends. These simple actions often required courage, forced them to make impossible choices, negotiate absurd rules, or laugh in the face of discrimination. 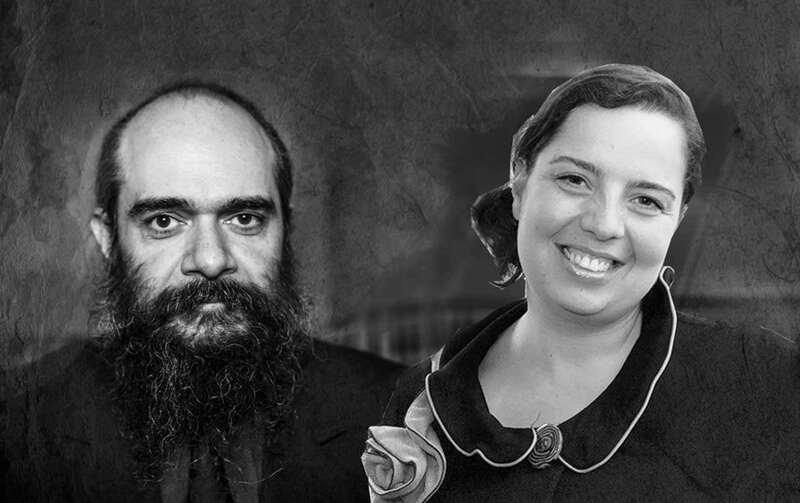 Singer-songwriter Psoy Korolenko and Anna Shternshis present a lecture/concert program featuring Soviet Jewish stories, anecdotes, songs and jokes in Russian and Yiddish. Sometimes sad, more often hilarious, always unforgettable, these narratives and artefacts transport us to the world of dilemmas, self-deprecating humour and controversies of the Soviet Jewish experience. This program also launches Anna Shternshis’ new book When Sonia Met Boris: an Oral History of Jewish Life under Stalin (New York: Oxford University Press, 2017). The book will be available for sale. Length 70 min, no intermission.